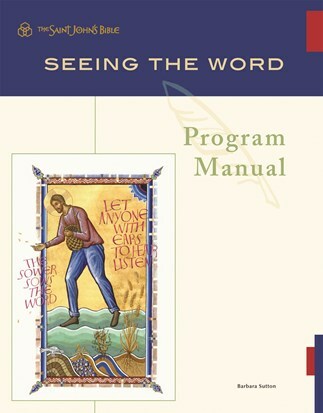 Create a customized Seeing the Word curriculum to further enrich your experience of the program. This valuable resource offers guided instruction for adapting Seeing the Word to personal meditation, small or large groups, families, and paraliturgical celebrations. The manual and accompanying DVD provide several relevant references and video presentations to support facilitators and participants throughout the process. Barbara Sutton is associate dean for formation and outreach in the School of Theology·Seminary at Saint John’s University, Collegeville, Minnesota. She directs the field education program and is adjunct professor of courses in pastoral ministry. She holds a Doctor of Ministry from St. Paul School of Divinity and Seminary, St. Thomas University, St. Paul, Minnesota. She coordinates the Seeing the Word program for The Saint John’s Bible. She has worked in parish and diocesan ministry and health care for twenty-four years.